The National Conference of Bar Examiners (NCBE) recently announced two significant changes to the MBE beginning February 2017. Are these changes for better or for worse? To find out, let’s delve into how these updates will affect your test taking. Hint: You’ll be very motivated to hone your writing skills! 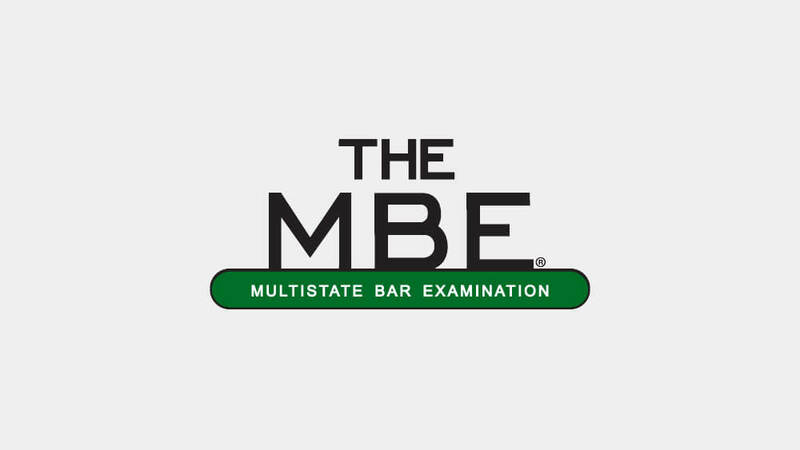 The MBE portion of the bar exam consists of 200 multiple-choice questions covering Constitutional Law, Contracts, Criminal Law, Criminal Procedure, Civil Procedure, Evidence, Property, and Torts, with 190 scored questions and ten non-scored pretest questions. These unscored questions let the examiners experiment with new topics and question formats. While the MBE will still consist of 200 questions, 175 of the questions will be scored and 25 will be non-scored pretest questions. The distribution of questions among the different subjects will remain the same; however, each scored MBE question will impact your overall score more than ever before. an increase in the number of questions regarding relevance. an increase in the number of questions regarding presentation of evidence. a decrease in hearsay questions. Besides the MBE now accounting for 50% of your score on the California Bar Exam, the changes to the MBE mean each scored question is worth more. That means you can miss fewer questions than you could have on previous administrations. Your writing skills are more important than ever. Because you have significantly more control over your writing than other portions of the test, today is the day to start improving. Our faculty is ready to help you; get a diagnosis or enroll right away!